Albert Yaxley - THE MASSACRE AT LE PARADIS - HELL IN PARADISE - MAY, 1940. 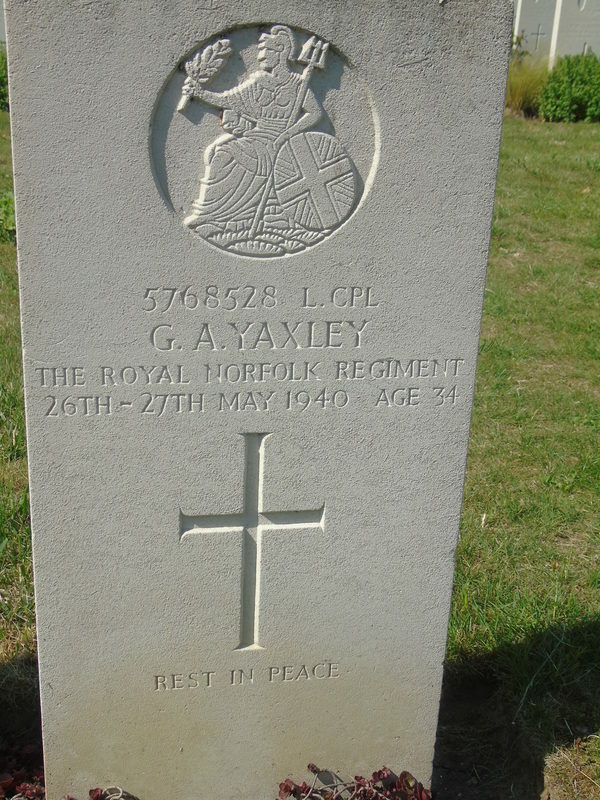 Lance Corporal George Albert Yaxley. Died 26th/27th May aged 34. ​Inscription reads Rest in Peace. ​Son of Albert and Sarah Ann Yaxley, of Irstead, Norfolk; husband of Louise Ellen Yaxley, of Irstead.